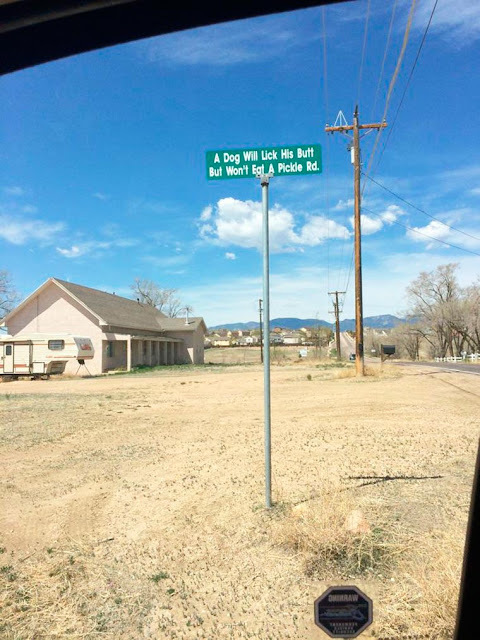 That reminds me of the signs Stanley Marsh used to put up all around Amarillo. You may or may not have heard of Marsh, but if not, he was the person responsible for building the "Cadillac Ranch", a Stonehenge-type of monument, only with those models of cars buried in the ground. He died a yr or so ago (under a cloud of suspicion on kidnapping and child molestation charges) but you can see examples of his sign "art" by Googling "Stanley Marsh Signs". lol Mike, they're quite funny, the dear old pedo!